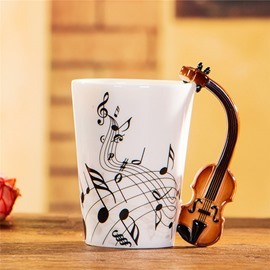 The coffee mug is very fashionable and charming.It features patterns of the guitar and jumping notes,which make us enjoy when drinking.Wonderful melody and fragrant coffee are a perfect scene.Materials of the coffee mug is porcelain and it is comfy to touch it.Embellished look brings us good moods. 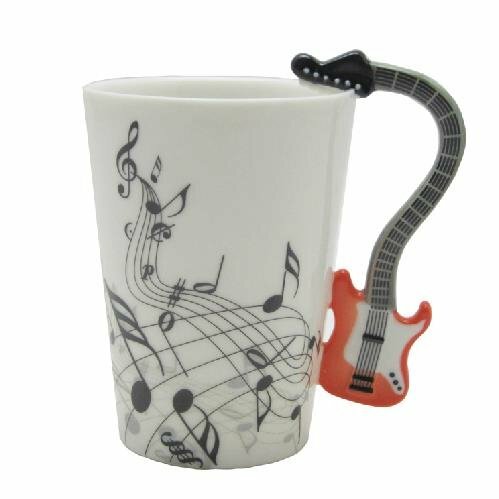 This kind of electric guitar is featured on this unusual handmade mug. The instrument was first used by jazz musicians who actually used. 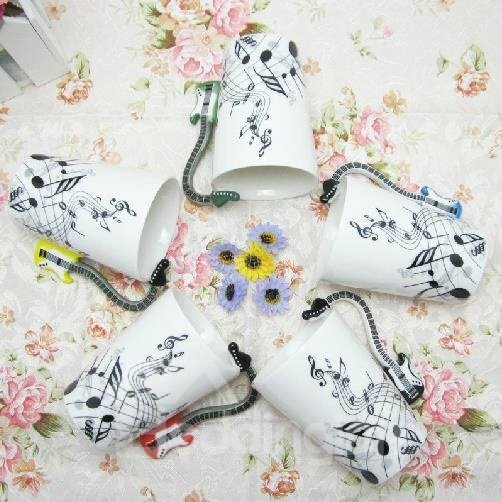 The Guitar decoration design is unique. 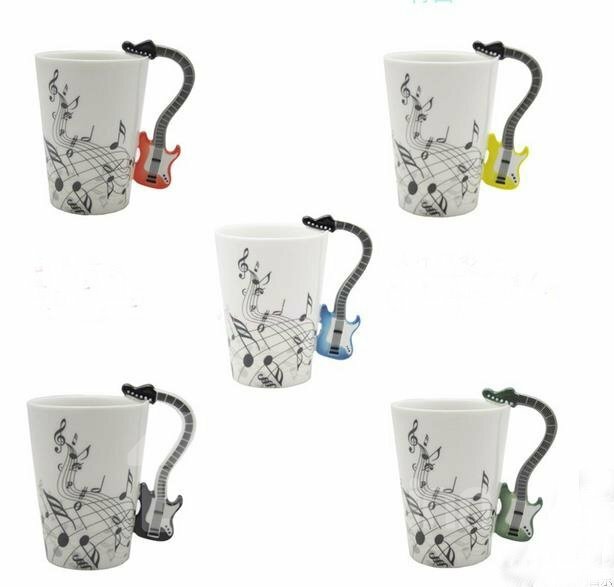 This mug is made of high quality ceramic which is durable.Safe for both hot and cold beverage. 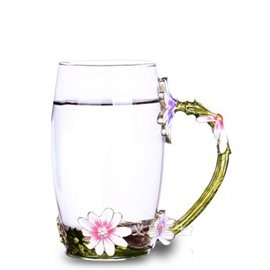 Perfect gifts for your relatives and friends. 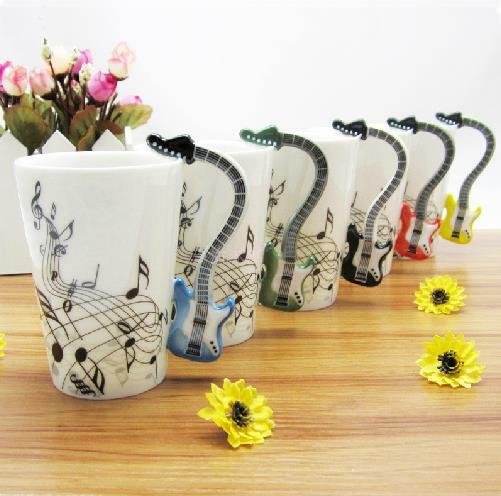 Have a cup of coffee or tea in your leisure time with this amazing cup. 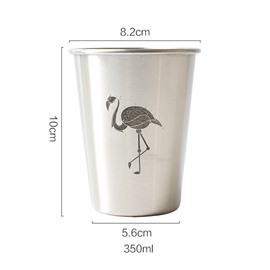 ♥Microwave safe. 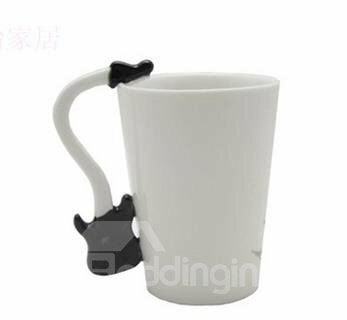 You can heat some milk or other beverage. 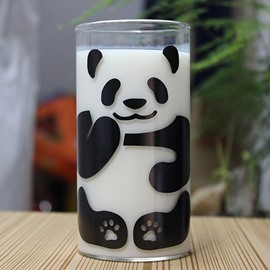 ♥Dishwasher safe. It can be washed by dishwasher. I just received these mugs and love them. 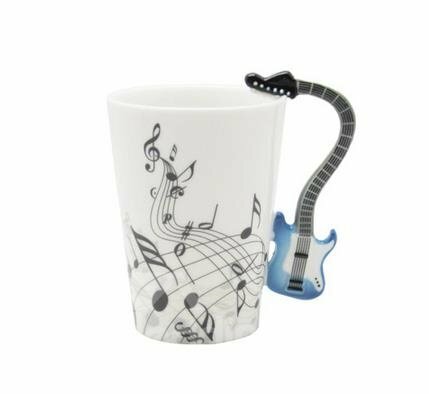 They are the perfect size mug for a nice big cup of coffee. The colors are great and the shape is very unique. 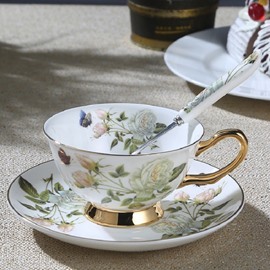 I would love to find an entire set of dishes. Made a great gift for an aspiring young girl, she loved it! So cute & realistic looking, I love it so much I might get one for myself! So cute!!! 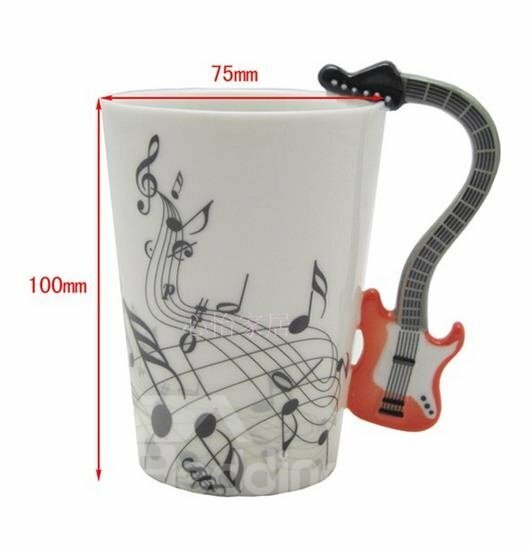 I bought this for my boyfriend who plays guitar.He loves it and it's super cute. 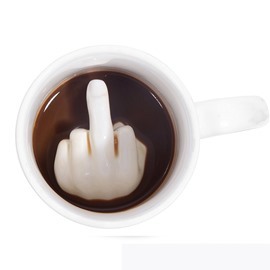 Love the cup.It is nicely made. 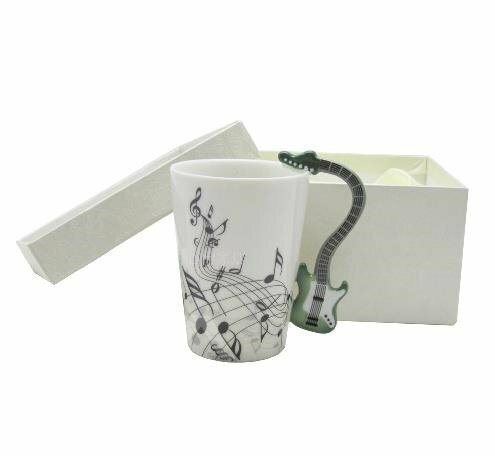 It was a gift for someone who plays guitar. This mug is attractive but MUCH SMALLER than I expected. 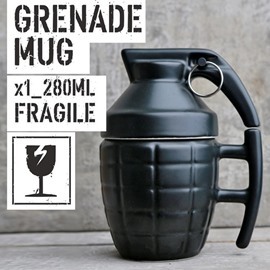 It is not a mug for a guy. It is small and more feminist.